Less than 50% of those applying for a place at dental school manage to win a place. Competition is very fierce and the perquisites for dental school are very tough. Dentistry is not a career that you can decide to follow at the 11th hour and just step into. You will have to demonstrate a real interest in the subject in your personal statement as well as an aptitude for dentistry and dealing with people. So what are the requirements for dental schools? Most dental schools ask for at least 2 years of post secondary education, although it should be noted that almost 95% of all applicants have already gained their bachelors degree with 4 or more years of college studies completed. The majority of applicants have already completed a degree within the sciences although this is not a set requirement for most of the dental schools. Having studied sciences such as biology and chemistry however will help with the Dental Admission Test or DAT. Every student is required to take this test which will test your natural sciences knowledge, two and three dimensional problem solving skills, comprehension and quantitative reasoning skills. You have to score a minimum of 16 to 20 depending on the specific dental college you are applying to. The DAT is a prerequisite for dental school that you should plan to take at least a year before you plan to start your dental school. You can take this test a maximum of three times. Some schools also require that you spend some time observing a practicing dentist to cement your interest in the subject; even if it is not a requirement of the specific school that you are wishing to attend it is good practice and will help with your admissions to other schools also even if not a requirement. Thoroughly check each dental school you wish to apply to check their precise prerequisites for dental school; each varies very slightly and you will not want to be rejected for failing to include something very simple such as proof of residence. If you have all of the prerequisites for dental school then we can help you with the application process. 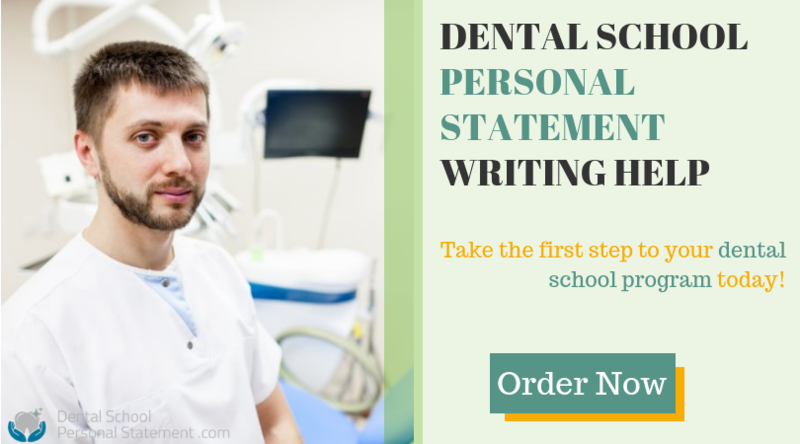 We offer writing services such as editing or writing your dental school personal statement as well as coaching for interviews and other services. Whatever your needs may be; we have the professional to help you. Check the prerequisites for dental school and make sure you are fully prepared for the application process!